Sneaky Peeky! 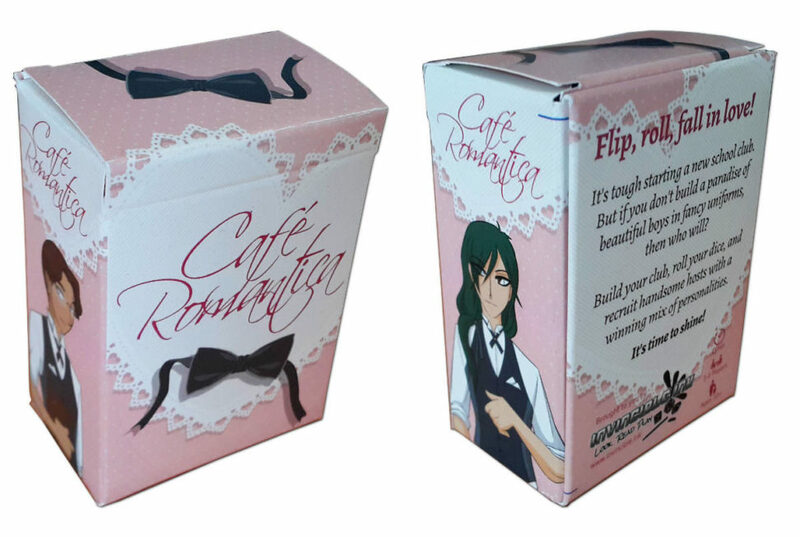 Cafe Romantica Tucks! Yes indeed, they’re here! If you want to get your hands on a sweet little game for 1-4 players where you roll die, build a club, and have a gaggle of cute smoochable boys under your thumb, you’ll get your chance to buy them, for the first time, at SMASH 2017! Come see us! Come buy stuff!